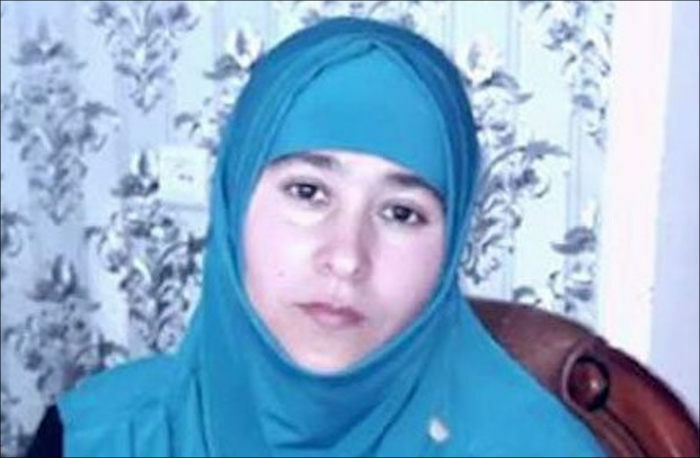 Tajik citizen Hafizamo Gadoeva, the cousin of the murdered leader of the opposition "Group 24" Umarali Kuvvatov and sister of the activist of this movement Sharofiddin Gadoev, has appealed to the political leadership of Turkey requesting to protect her from the persecution of the Tajik authorities. The appeal, the copy of which the portal TajInfo.Org acquired, addresses President Recep Tayyip Erdogan, the foreign and interior ministers, as well as the Chief of the Turkish General Staff. "Now I'm in danger and the only way out I see it is to turn to you, dear President Recep Tayyip Erdogan. Currently, I live in Istanbul, where I arrived on 4 April 2017. I did not just leave my homeland - I had to flee because of unbearable persecution and obstacles to normal life, the Tajik government created for my family and me," writes 34-year-old Hafizamo Gadoeva. The woman recalls that her cousin Umarali Kuvvatov was murdered in Istanbul on 5 March 2015, and Sharofiddin Gadoev, her brother, who led the "Group 24" after the death of Kuvvatov, was granted asylum in a third country. Other brothers of Hafizamo also fled Tajikistan, while husbands deserted her and her three sisters. The woman writes that her father and mother used to have sales outlets in the local market, but because of the politics, to which the parents had nothing to do, the Tajik authorities deprived them of their livelihood. According to Hafizamo Gadoeva, all members of her family were victims of persecution by the Tajik authorities - constant pressure, oppression, insults and threats turned their lives into a nightmare. The police brutally beat her father in a police station, who then seriously fell ill and died in 2016, as the authorities forbade him to leave Tajikistan for treatment. Hafizamo's mother is sick with cancer, but the authorities also prohibit her from leaving the country. "I lost my father, my husband, I cannot see my mother because of politics, although I have no idea what it is. I am very far from understanding the relationships of high-ranking people, but I suffered and suffer a lot because of their ambitions, about which I have no idea," Hafizamo Gadoeva writes. She notes that she came to Istanbul in search of security, but the persecution of the woman continued in Turkey. In particular, on 10 July 2017, the Tajik consulate summoned her, where employees of the department deceived her withdrawing her passport and have not returned it until now. Consul advisor Mizrobeddin Safarov demanded Gadoeva to tell who helped her to escape from Tajikistan and threatened that if she does not voluntarily return to her homeland, he will use his "good connections in Turkish law enforcement bodies and the government of Turkey" to organise her deportation. In Tajikistan, according to the adviser, a criminal case and a long prison sentence await her. On 26 October, the consulate summoned Hafizamo Gadoeva again. Mizrobeddin Safarov aggressively demanded again that she better return to Tajikistan "amicably" while voicing threats to her children. He claimed that he had enough influence and resources to send her out of Turkey. At the end of her appeal, Hafizamo Gadoeva writes that she is afraid of the persecution that awaits her at home, and hopes only for the protection of the Turkish president. Earlier, the Supreme Court of Tajikistan in October 2014 declared the "Group 24" an extremist organisation and banned its activities on the territory of the republic. Arrests of all those suspected of contacts with the "Group 24" started in the country. Several activists of the movement were abducted or extradited from Russia to Tajikistan. Despite threats and pressure on family members, Sharofiddin Gadoev continues his political activity in exile. In particular, he participated in the annual OSCE / ODIHR Human Dimension Meeting in Warsaw in September. Representatives of the non-systemic Tajik opposition held a protest action demanding the release of all political prisoners and to stop harassing relatives of opponents of the Tajik power. After that signals reports about increasing pressure on opposition families have started pouring from Tajikistan.